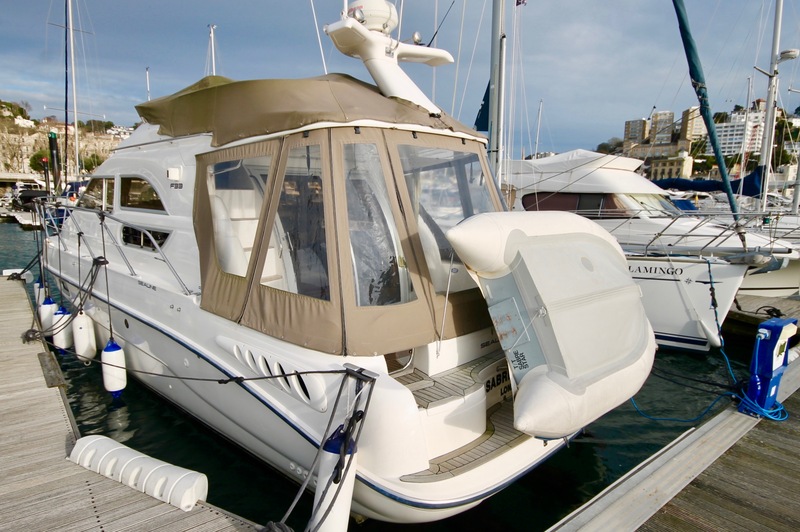 We are always delighted when an owner asks us to sell their Sealine F33, as one of the most popular boats on the market we know they do not stay on the market for long! 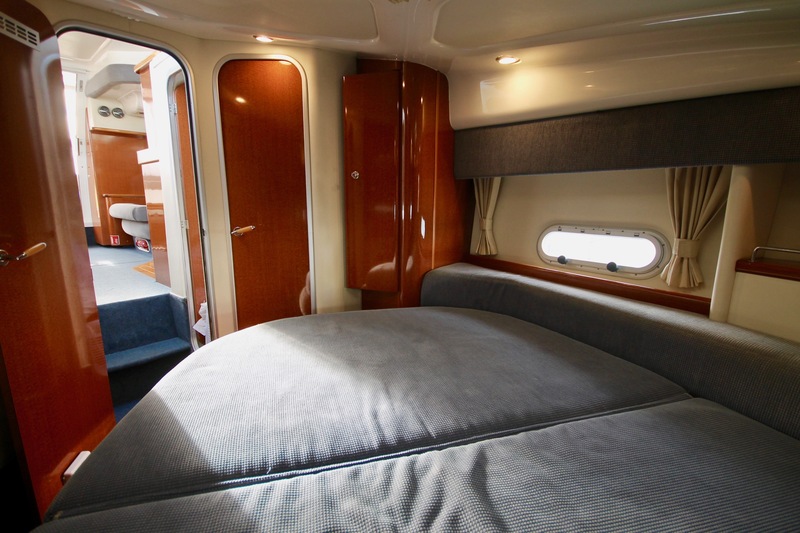 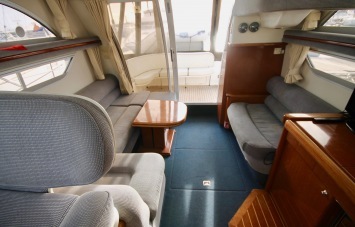 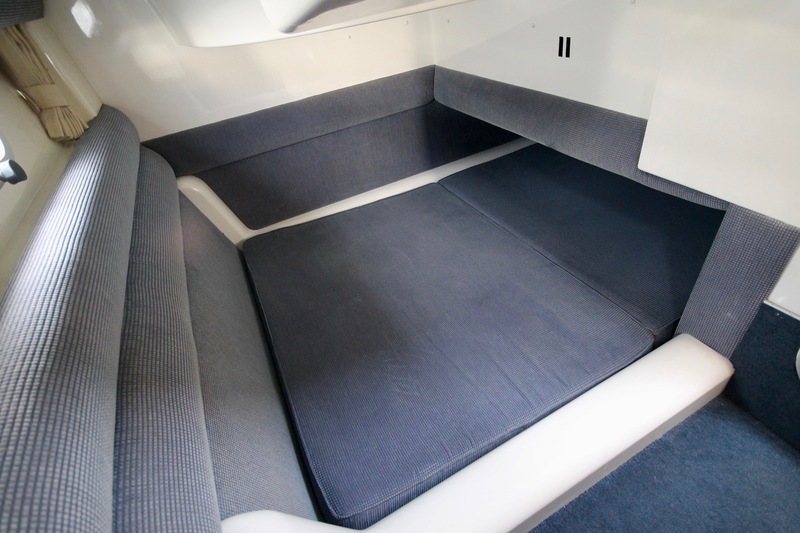 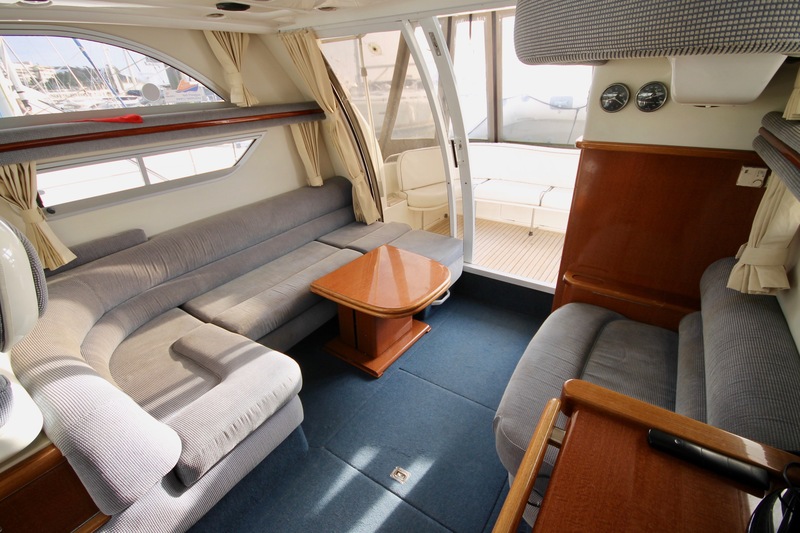 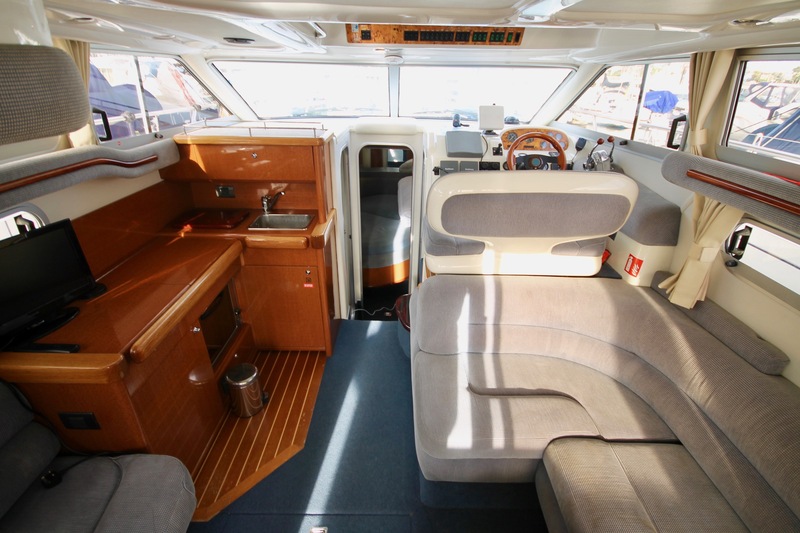 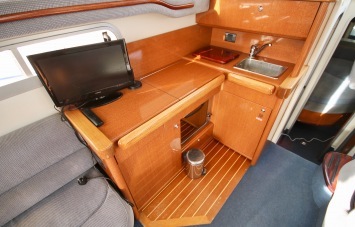 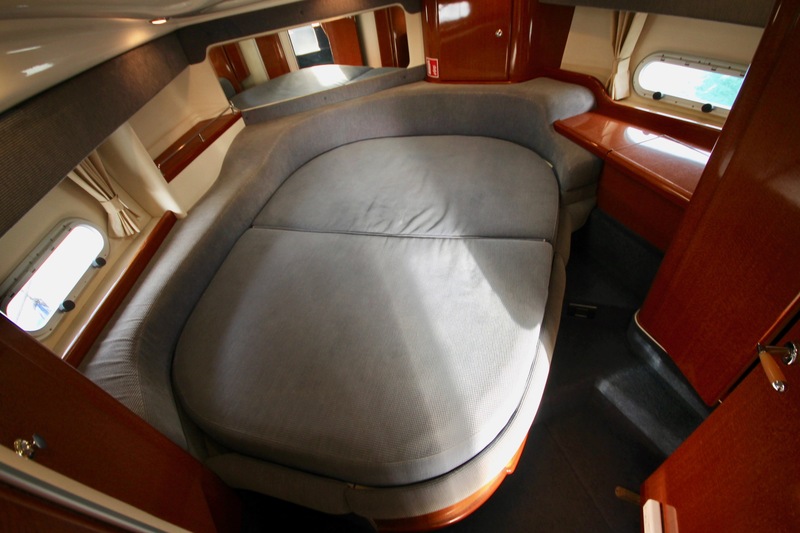 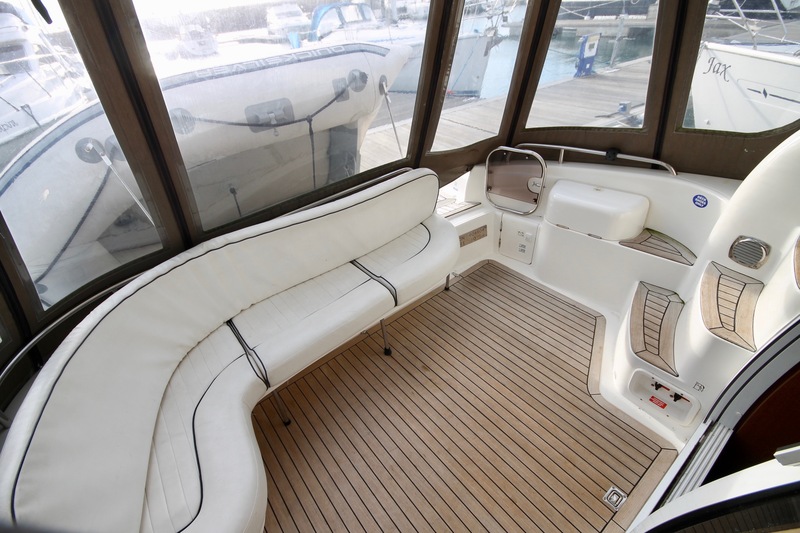 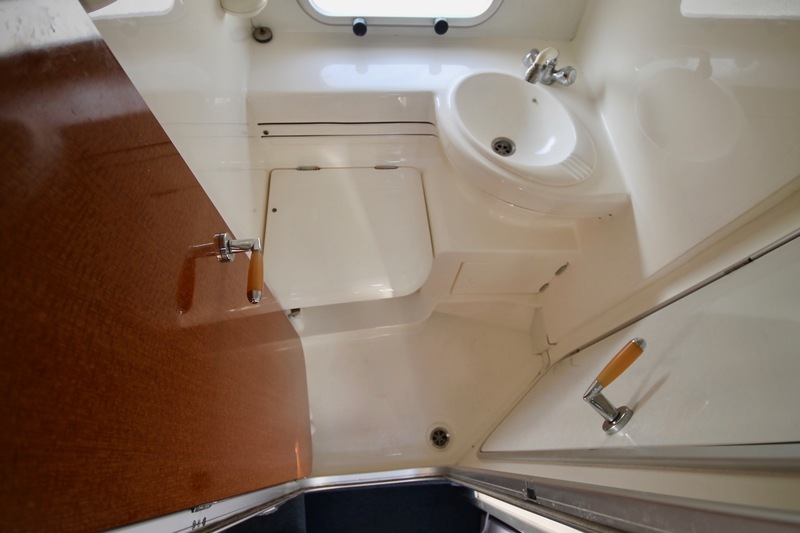 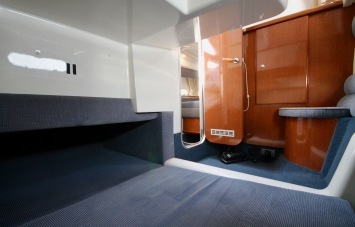 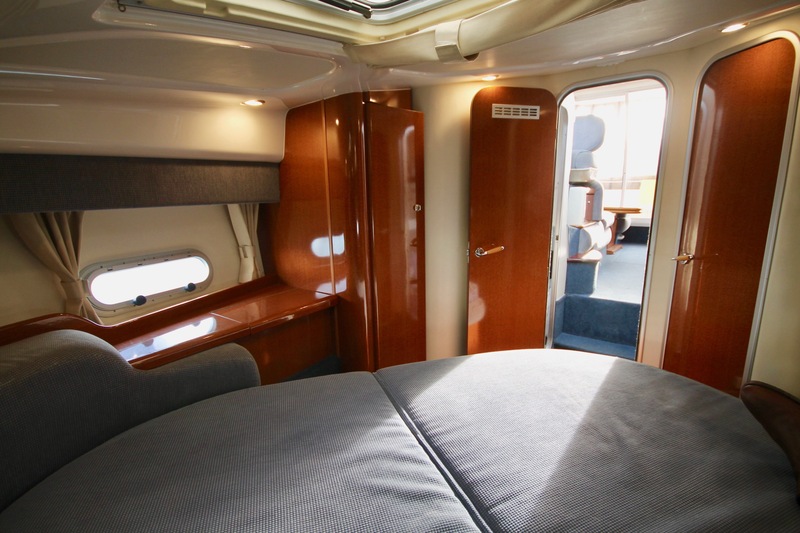 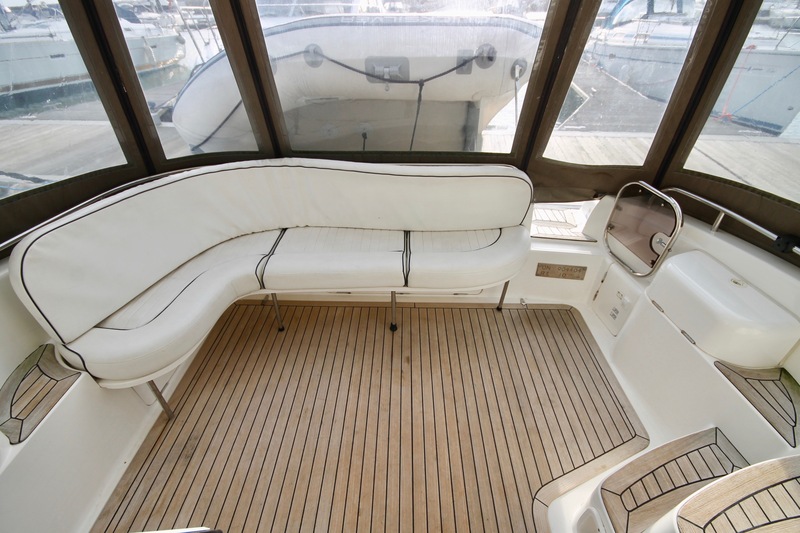 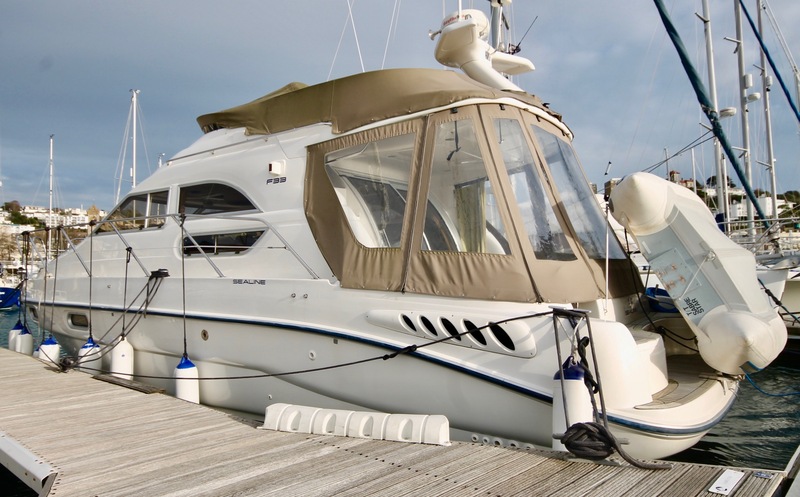 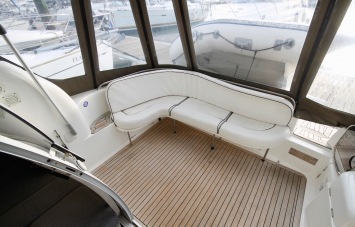 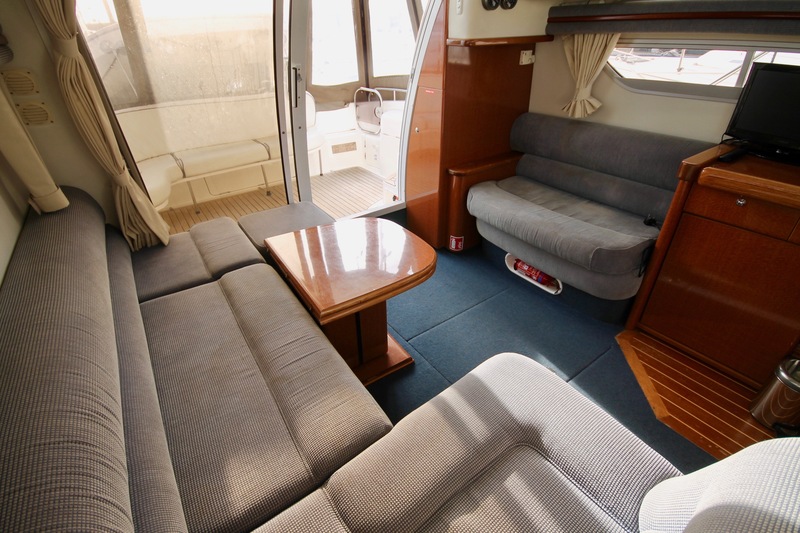 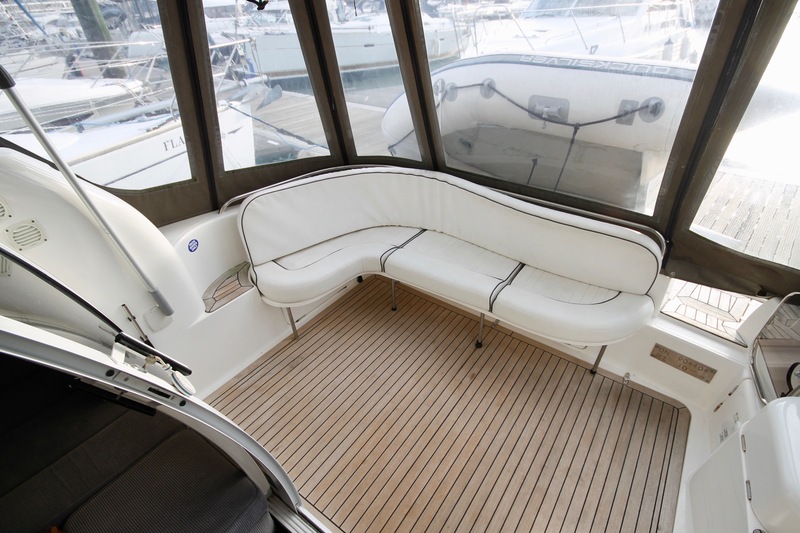 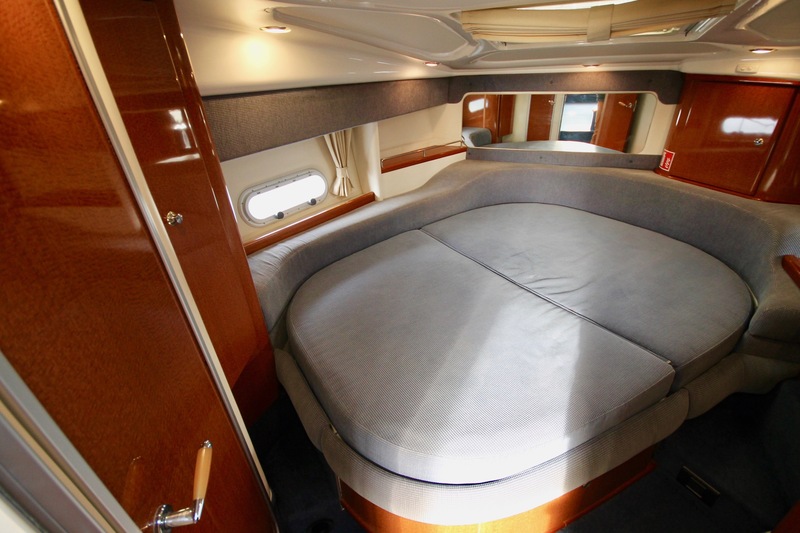 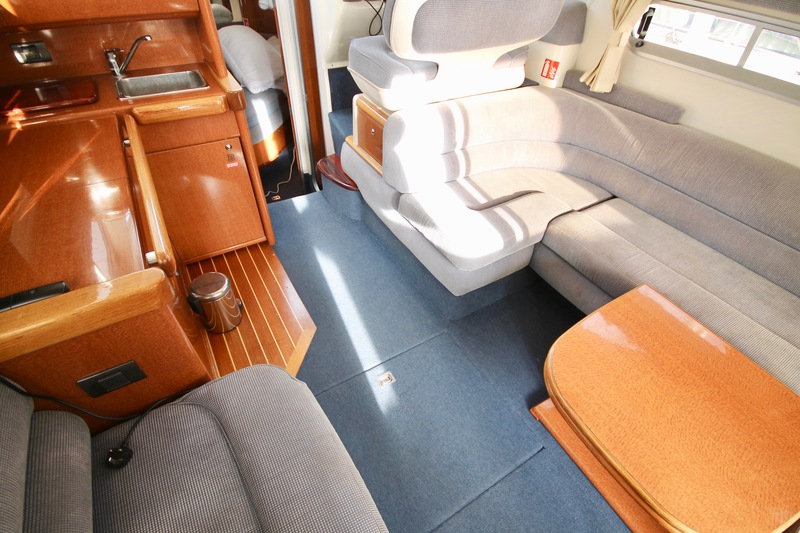 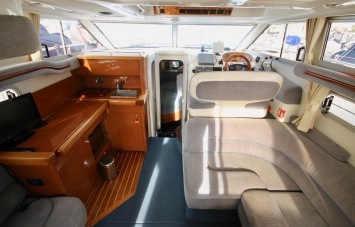 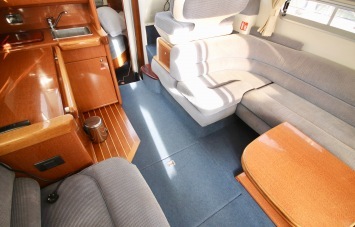 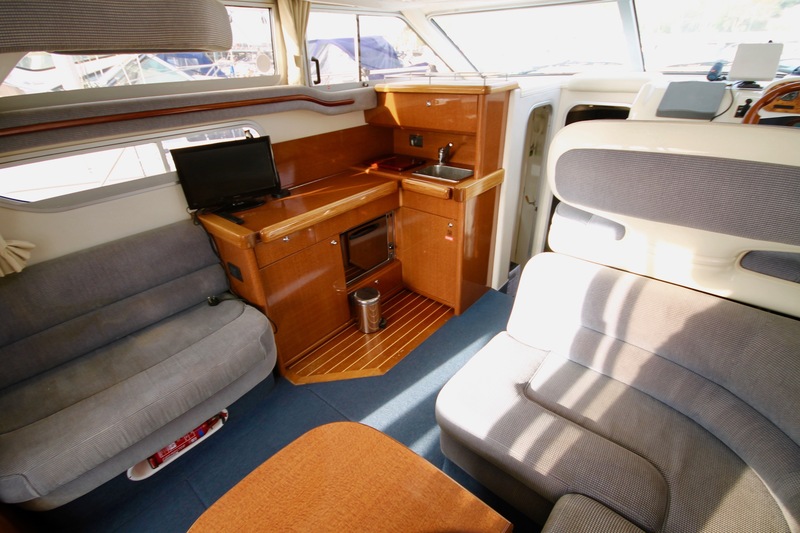 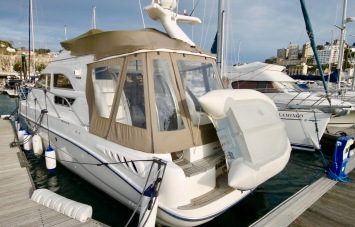 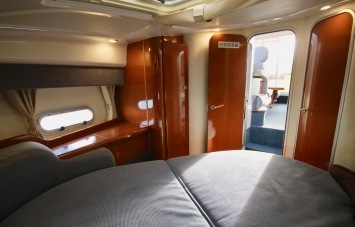 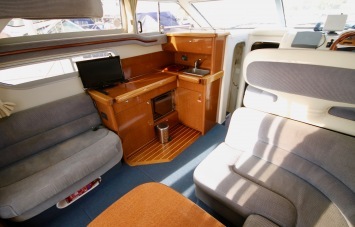 Accommodation for 6, flybridge, ‘patio’ doors – the Sealine F33 is popular as it ticks all the boxes.. In a slightly unusual colour way, with blue carpets and beige external canvas the combination really defies the age of the vessel, making her appear much younger than her years! 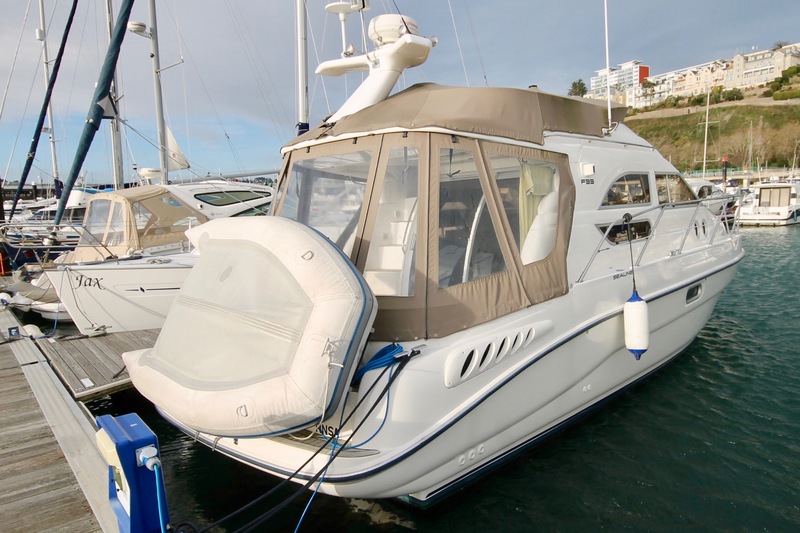 Options include hot & cold water systems, eberspacher heating, TV, Log, speed, depth and GPS, electric anchor windlass, hob, oven & grill. 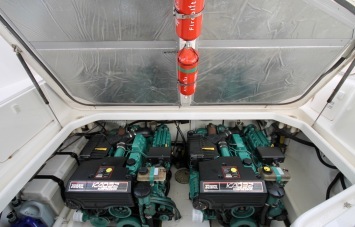 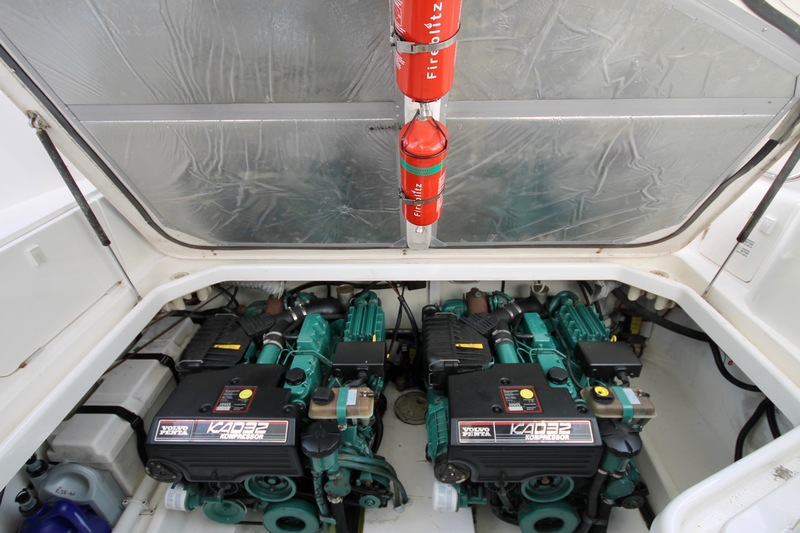 Power is from twin Volvo KAD 32 DP engines. 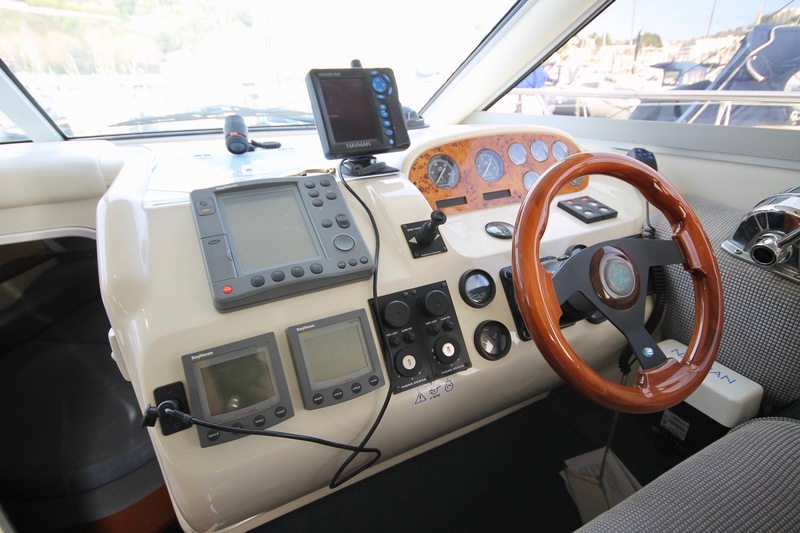 A bow thruster means manoeuvrability is a dream. 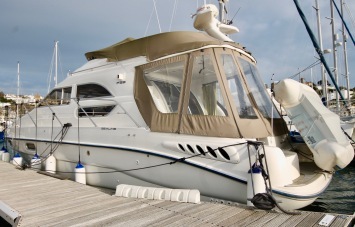 Always UK based and regularly serviced, viewing is highly recommended. 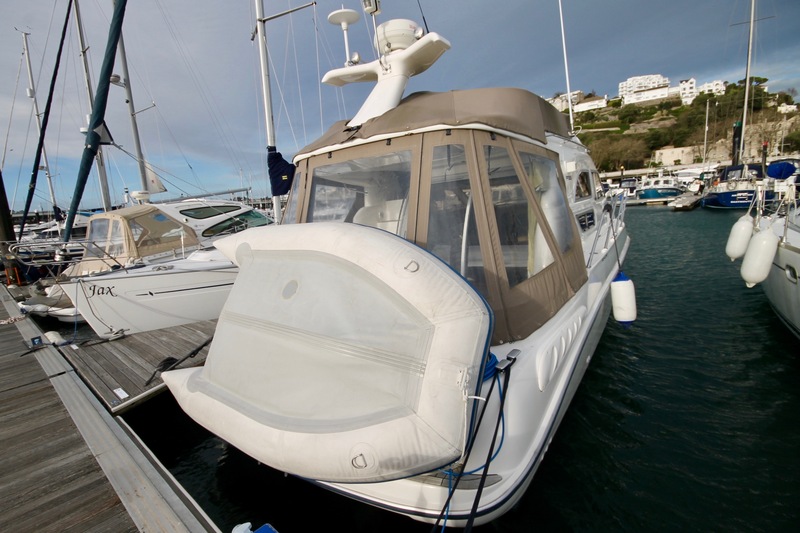 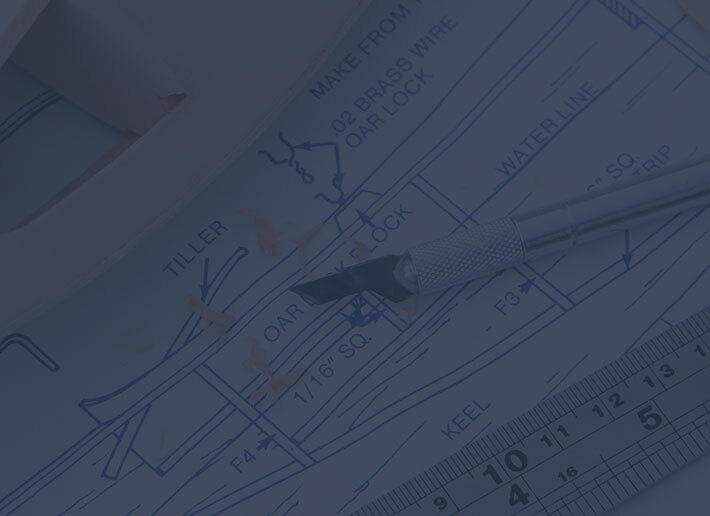 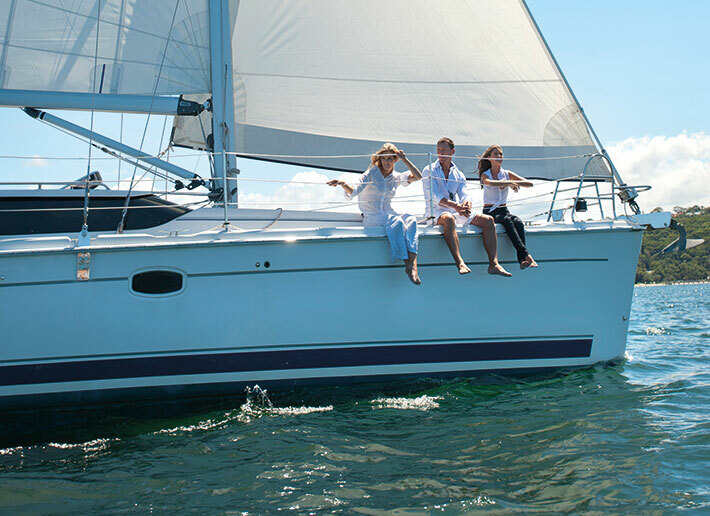 ne Marine have partnered with Boat & Yachts Warranty, the marine industry’s leading Extended Warranty provider, to offer you comprehensive cover for your new vessel.